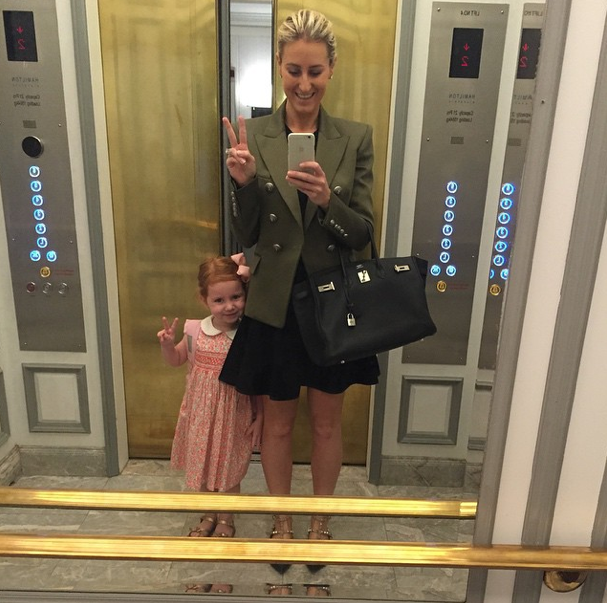 Fashion PR Queen Roxy Jacenko has turned Double Bay’s Intercontinental into her new home-sweet-home, probably forcing guests to use the stairs so she can get as many elevator selfies as possible with her 4-year-old daughter, Pixie. 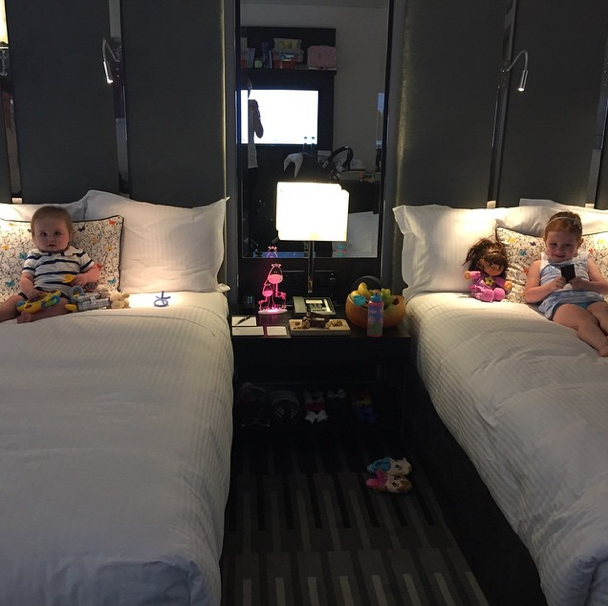 Roxy took to her Instagram yesterday, sure to tag the 5-star hotel she’s occupying, writing, “And we are in! Excited to spend our first night in our new home. 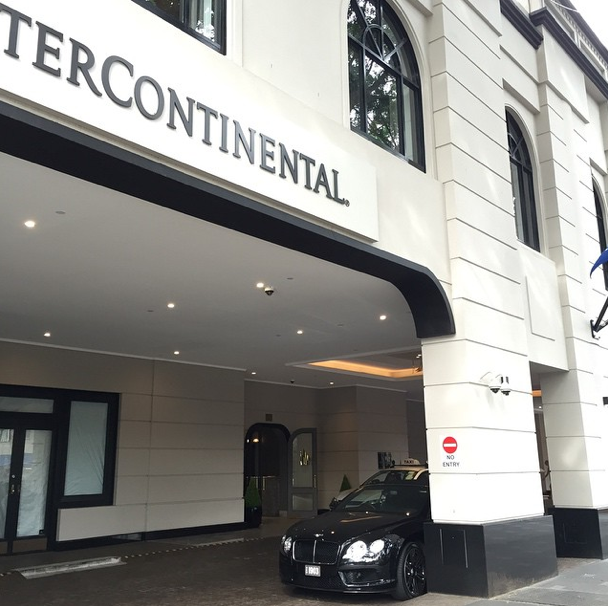 Thanks to all the incredible staff at @intercondoublebay who helped us so much today with the move in – amazing x.” Soon after she posted a pic of Rocky Road and popcorn, writing, “What a welcome! @intercondoubleday x.” What a great amount of publicity, more like it. We’re smelling a mutually beneficial relationship here. As always, Pixie followed her momager’s suit. The redhead’s Instagram (undoubtedly controlled by Roxy) boasted a selection of photos and videos of herself and bro, Hunter, lounging around the hotel in luxury, with plugs like “very posh” and “I can’t believe I’m sleeping in the hotel with Hunter”. Like a PR guru in training, Pixie was sure to tag and check in at the hotel every time. The move to the newly refurbished hotel follows the sale of Roxy and husband Oliver Curtis’ Woollhara home, which sold for a hefty $8 million in November. After the sale, she told The Daily Telegraph her next home will be more child-friendly, saying, “With the two young children, Hunter and Pixie running around it will be a home which has less stairs and a large outdoor area for them to enjoy.” Looks like you got your wish, Roxy, elevators are much safer than stairs. But, seriously, Roxy’s just living up the hotel lifestyle until she can finds something more permanent for her cute little nuclear family. 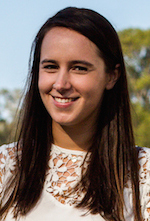 “We live here now — moved in today,” she explained to Daily Mail Australia. “We will be here until we buy a new house.” Enjoy the room service while you can, Curtis crew.